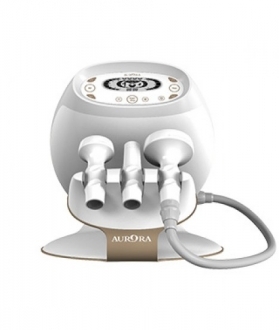 Success: You have added Aurora X2 to your shopping cart! The top of the line professional facial and body slimming system, using a combination of RF, pulse and vacuum technology. Integrated technology to work to stimulate fibroblast activities, collagen remodeling, increase metabolism rate and improve lymph and blood circulation. It helps to reduce wrinkle and increase cell regeneration. Complete with 3 different sized applicators to suit every area of your body. Multi RF technology has the ability to directionally control electronic fields to reach within cutaneous and subcutaneous tissue. The heating effect caused by this treatment increases microcirculation and in turn increases metabolism and dissipates the subdermal fat.